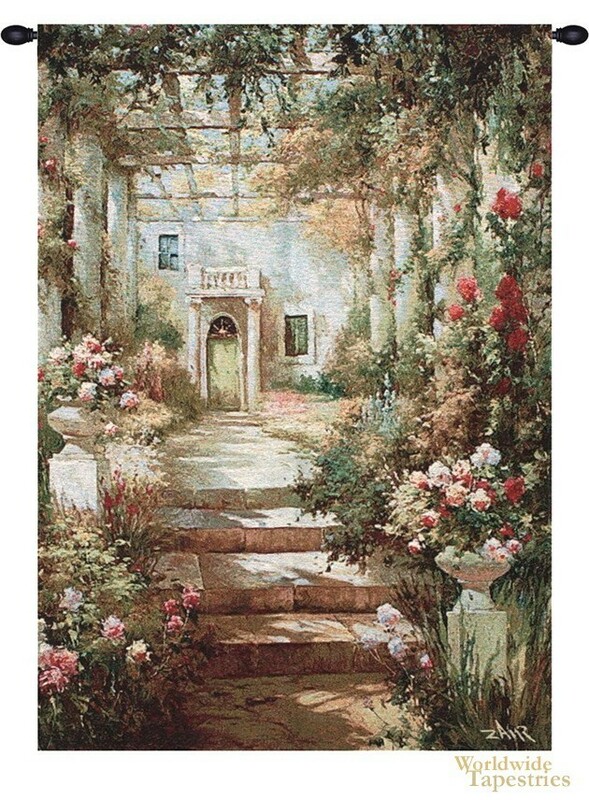 A tapestry showing the summer pergola over a garden of roses. This tapestry is impressionistic in style and captures the light of this outdoor setting beautifully. The light on the flowers and the shadows on the floor adds to the atmosphere of a warm summer afternoon among the blooms of the roses in this garden. This tapestry is backed with lining and tunnel for easy hanging. Note: tapestry rod and tassels, where pictured, are purchased separately. Dimensions: W 35" x H 47"